Yeah, I want one of these. I would like a laser powerful enough to light my grill without a match and to light a fire under the little bird butts of the birdies that like to poop on my back patio. The Wicked Lasers Spyder III Pro Arctic laser certainly has the power to do those things. The warning for the laser states that it can instantly blind and burn skin if you shine it on someone. According to the maker, the blue laser beam used in the Spyder III Pro is 4000% brighter than the blue beam in its Sonar laser. 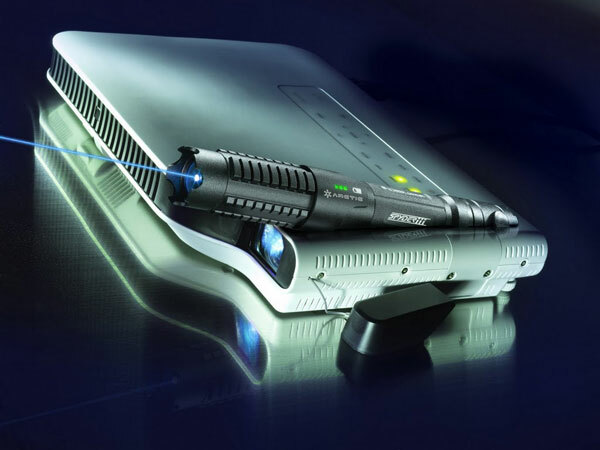 The Arctic laser has a 445nm beam and uses the diode from a home theater projector. You have to sign a waiver just to buy the thing and it sells for $197.97. I wonder if it’s legal to ship these things across state lines.